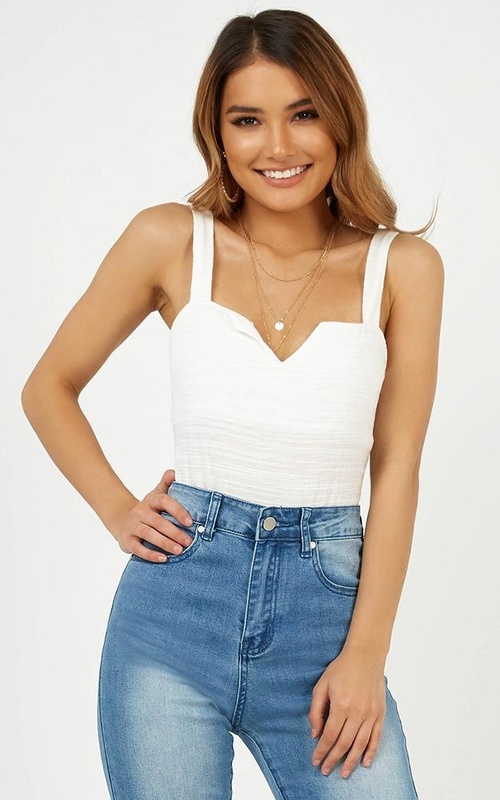 We’re obsessing over the New Classic bodysuit in white! This bodysuit features a cut out in the bodice and thick straps. You'll love to team this look with some boots for rocker chick vibes or glam it up with a killer pair of heels.